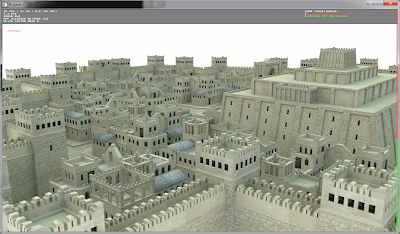 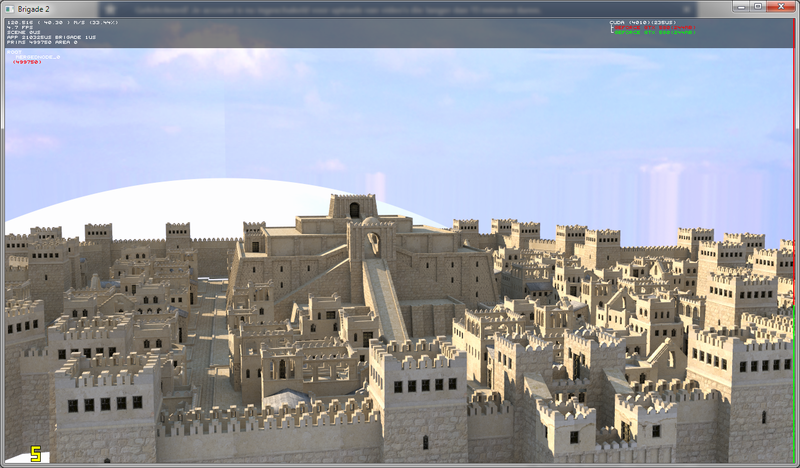 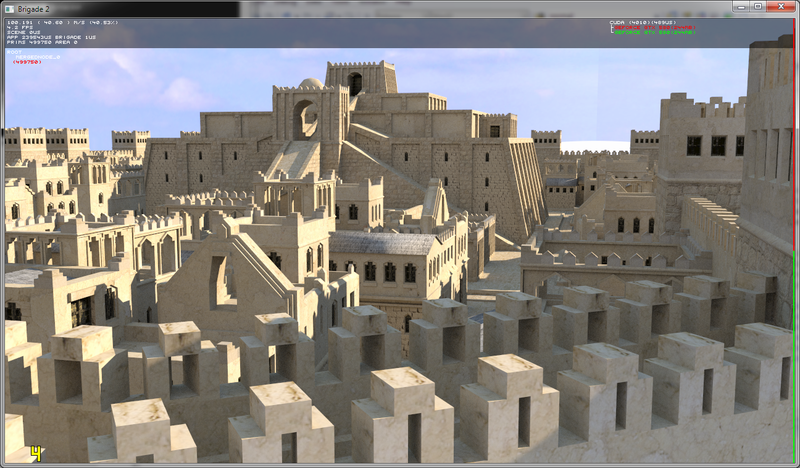 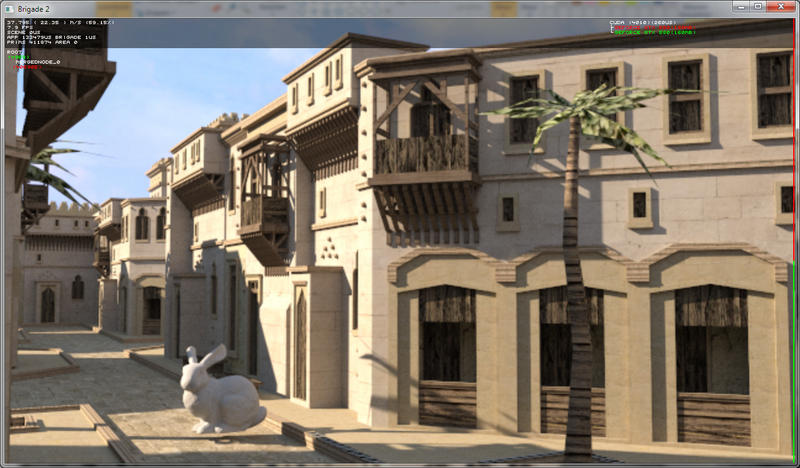 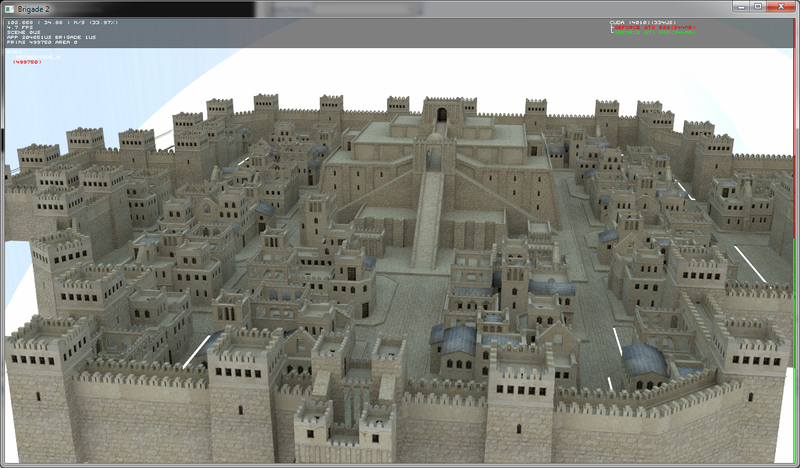 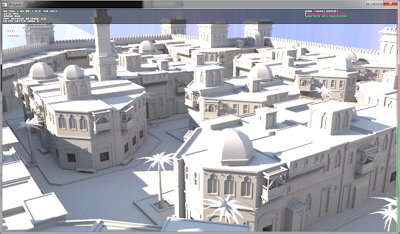 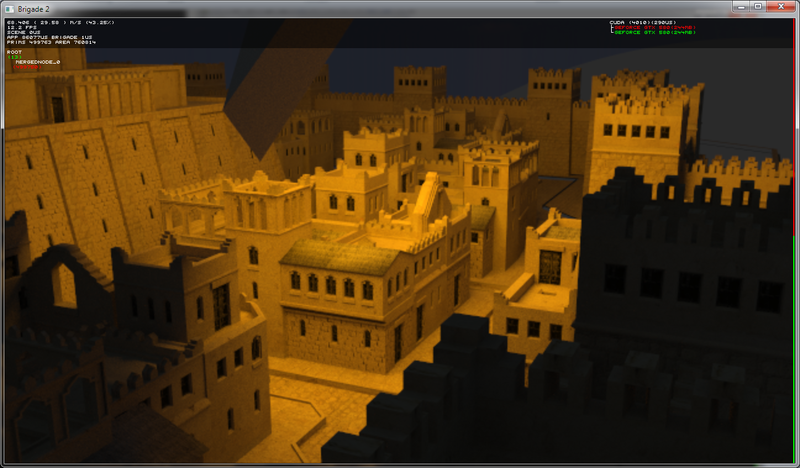 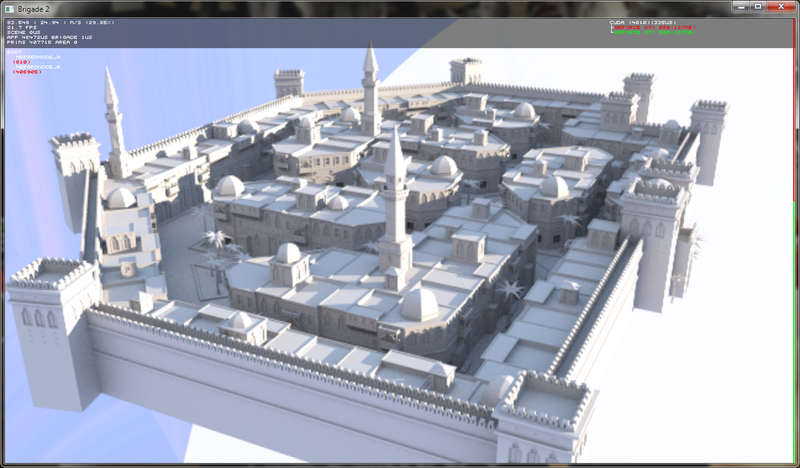 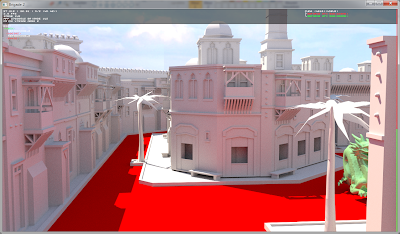 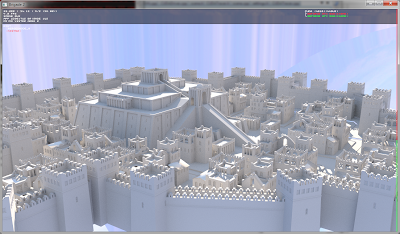 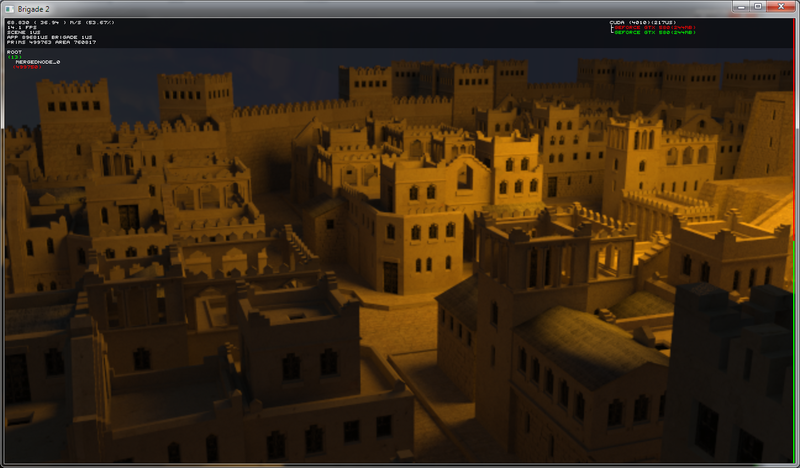 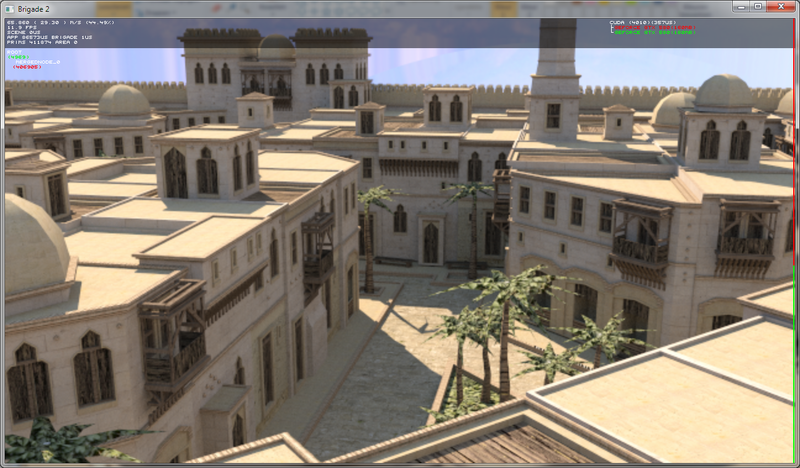 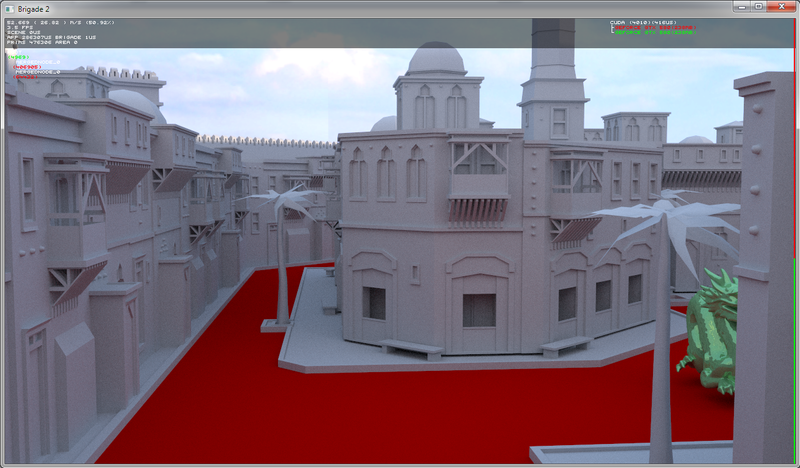 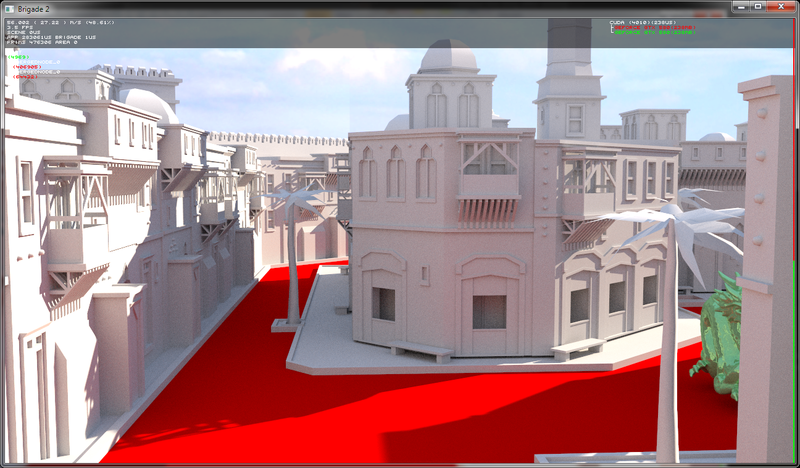 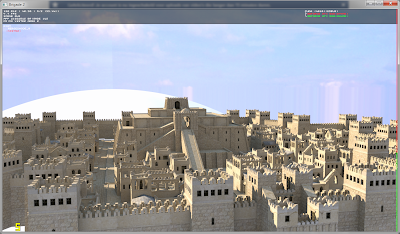 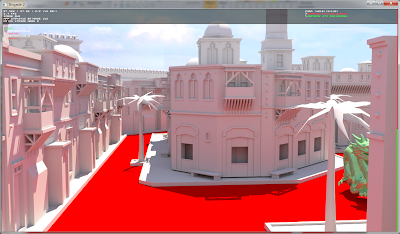 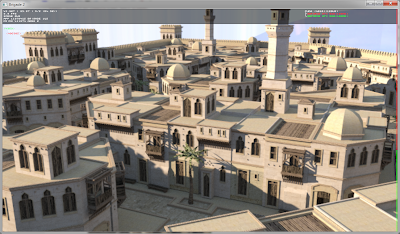 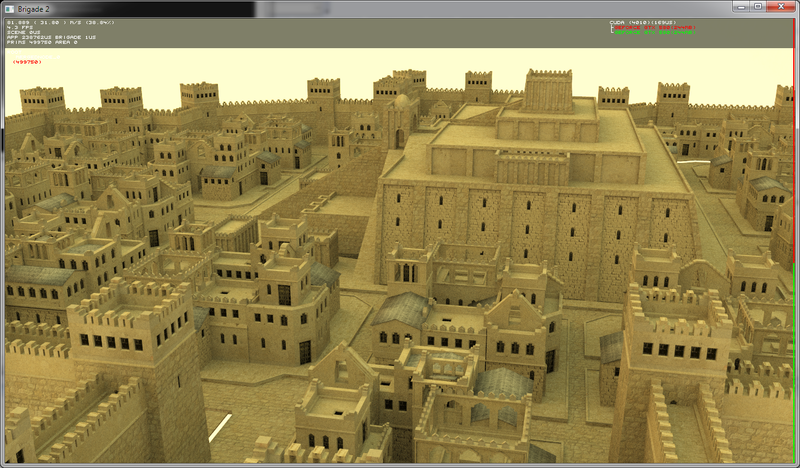 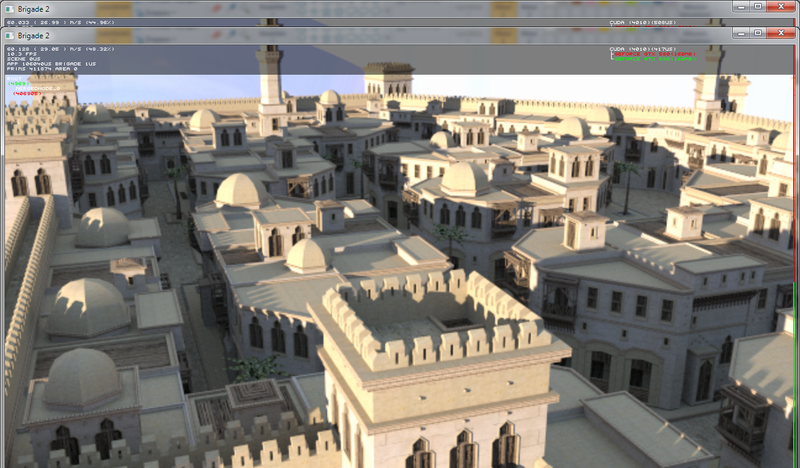 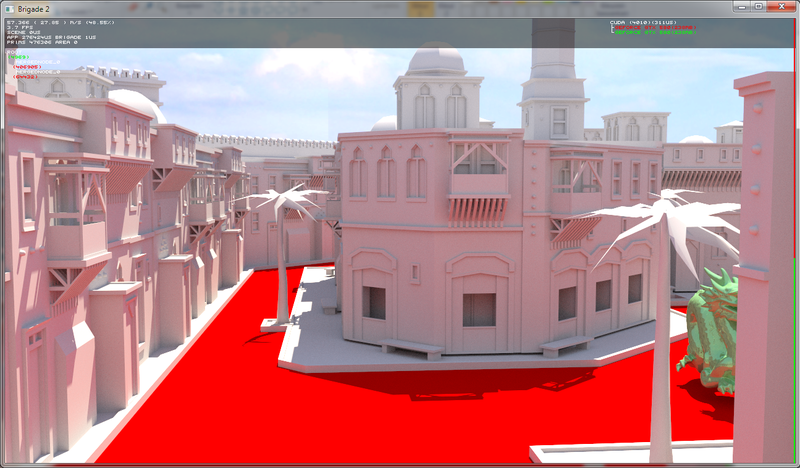 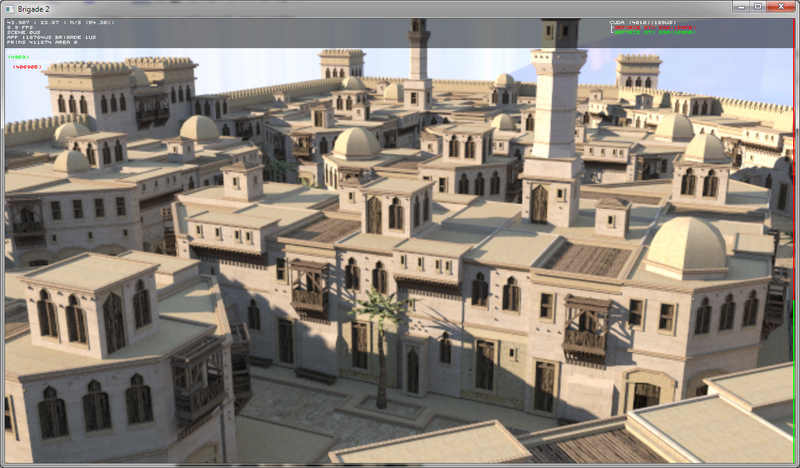 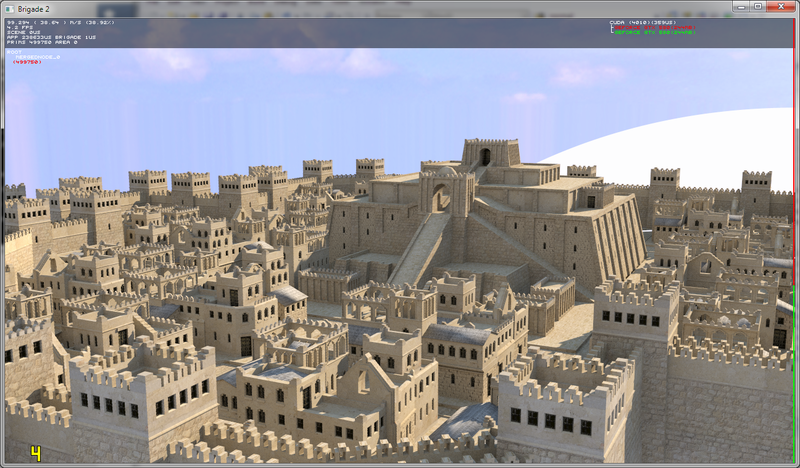 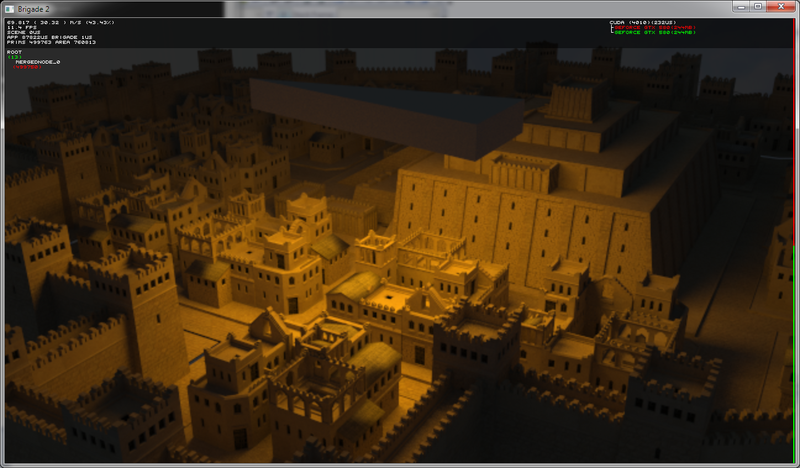 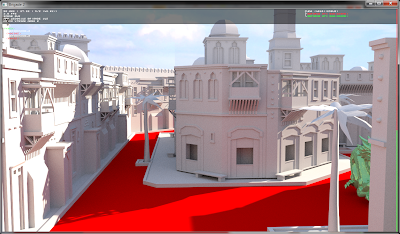 Another outdoor test with Brigade 2 of a massive city model ("Babylonian City", a SketchUp model by LordGood). 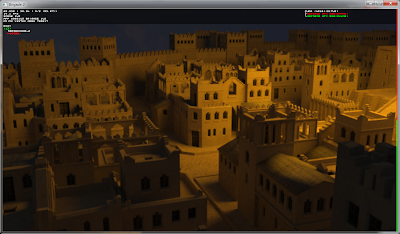 True cinema-quality lighting in real-time :-). More outdoor scenes soon. 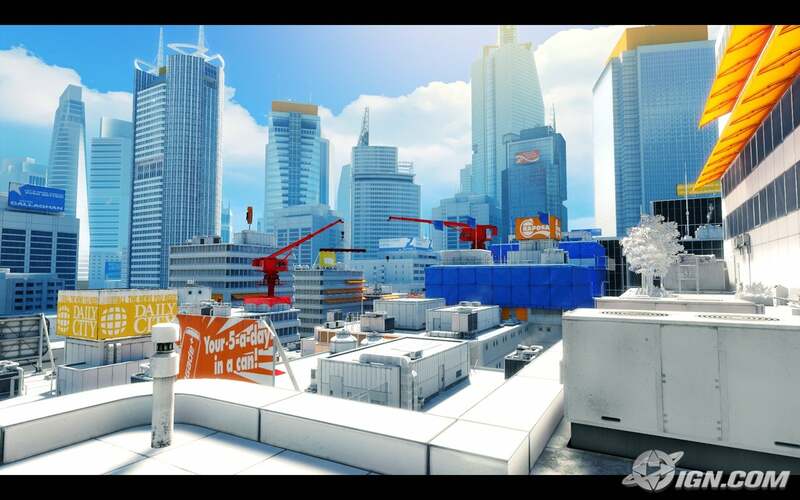 I wanted to create an outdoor scene with the same quality of lighting as Mirror's Edge (which uses very high quality, baked lightmaps and which I think is the most photorealistic looking game of this generation, see for example this pic and this one), but in real-time. 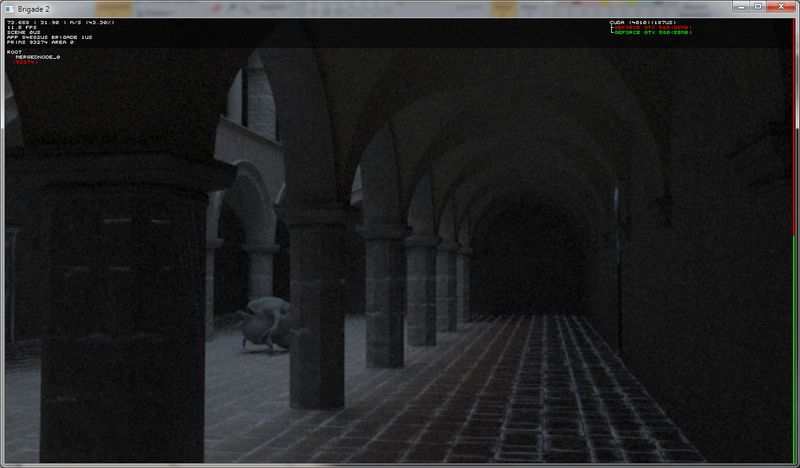 I will be using this scene for a simple game, probably a survival horror or a puzzle/adventure game. 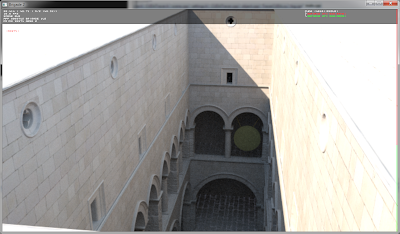 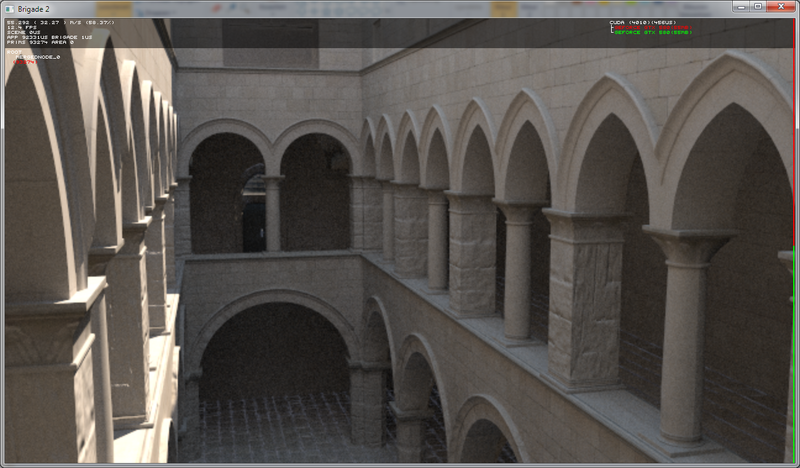 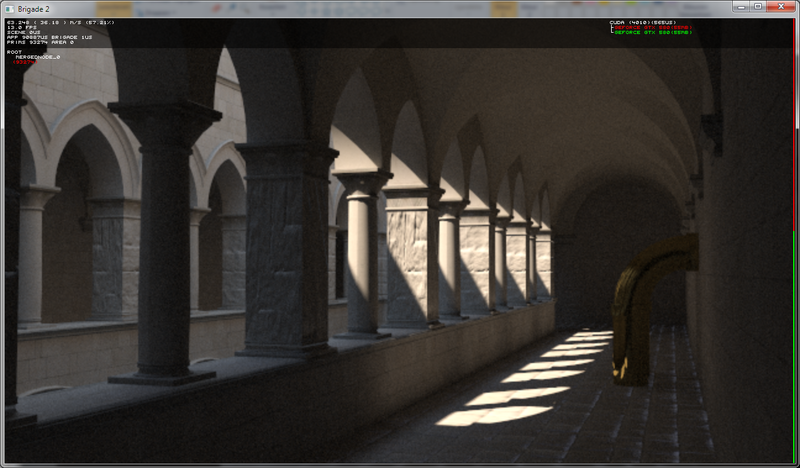 Another real-time Brigade test with the sun on Sponza, a more challenging scene with lots of areas with indirect lighting. The toad was modeled by Son Kim. 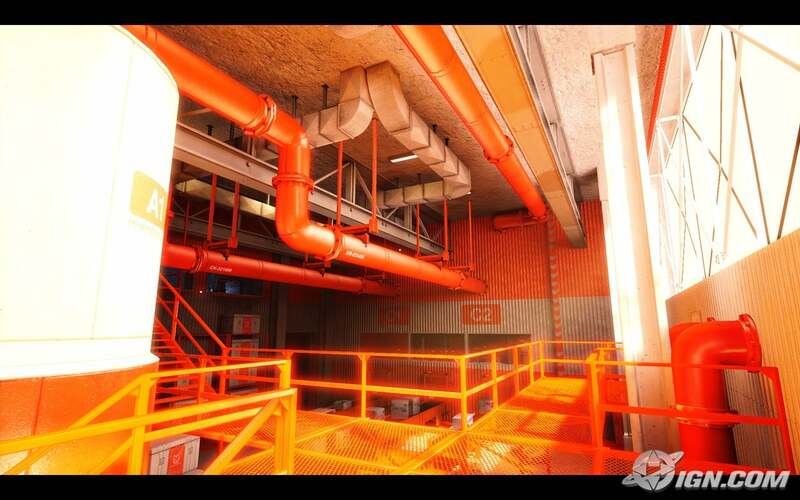 The video is pretty dark in some areas, so to see all the details, I advise to watch it without too much environment light. 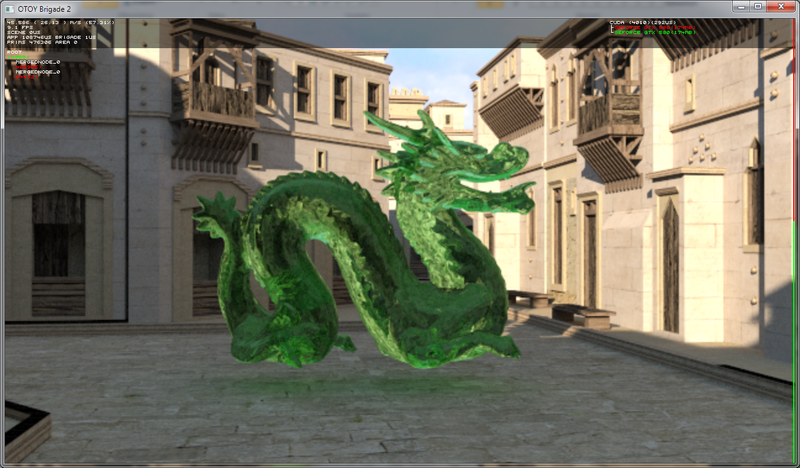 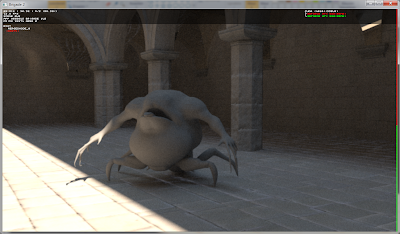 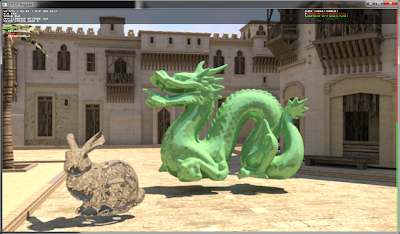 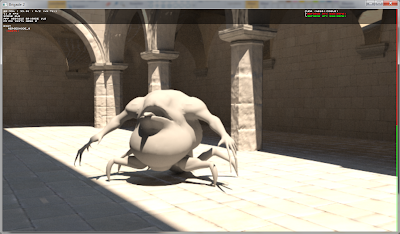 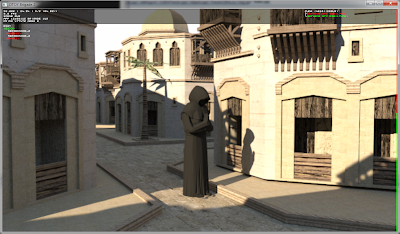 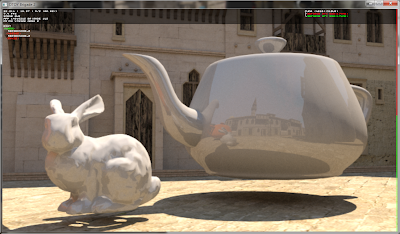 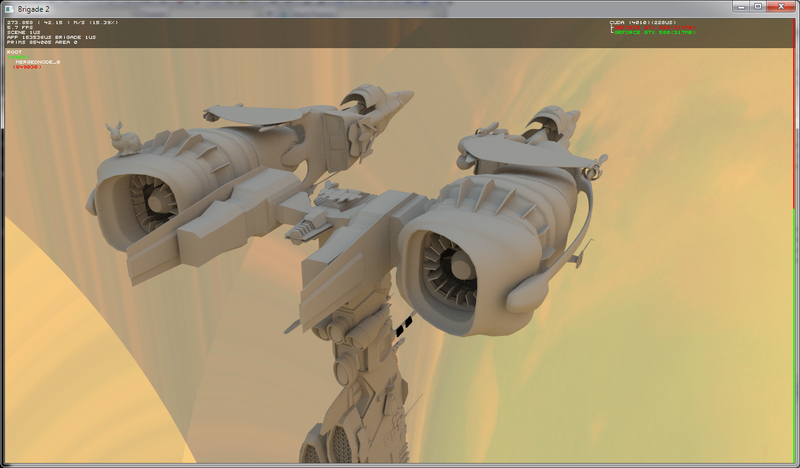 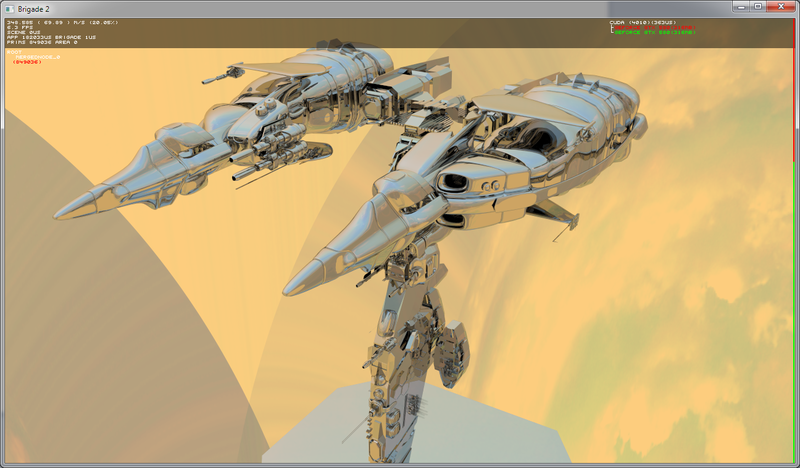 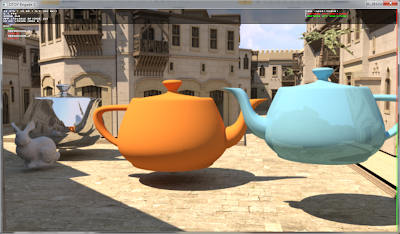 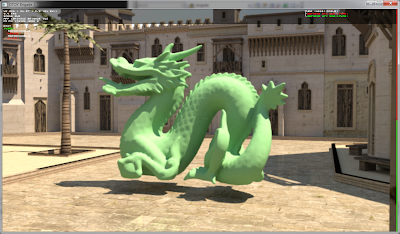 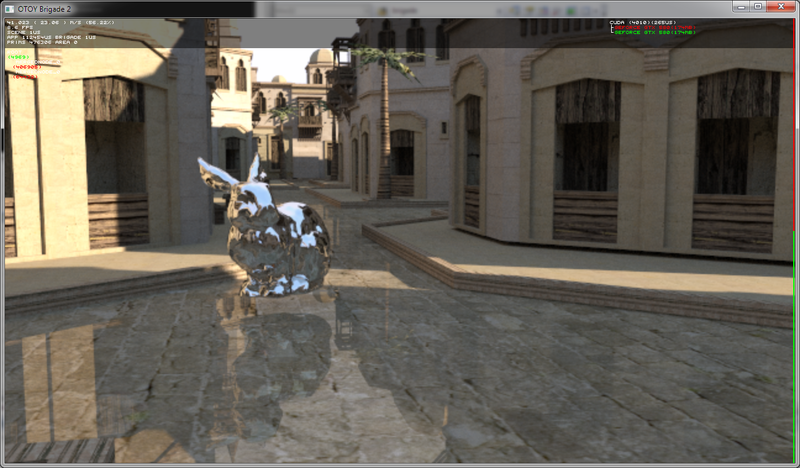 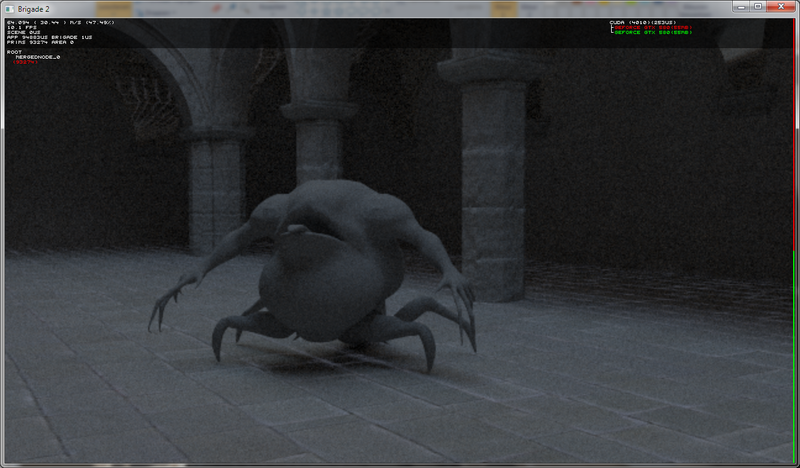 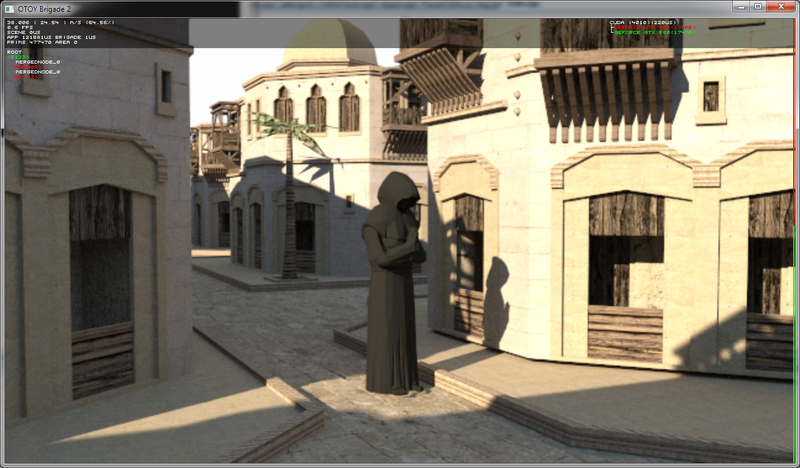 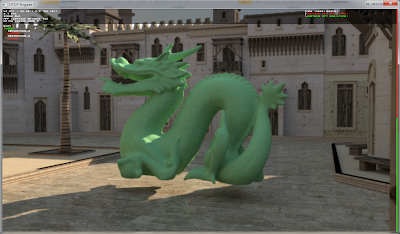 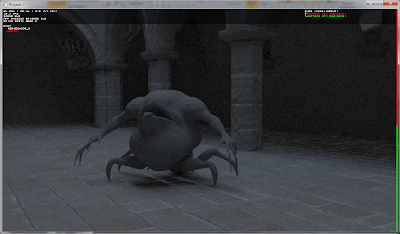 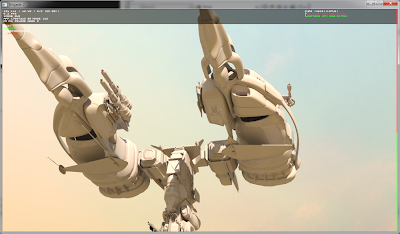 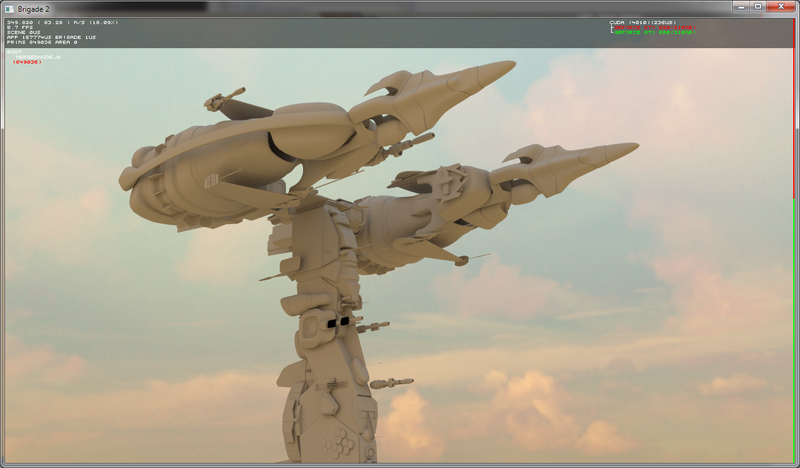 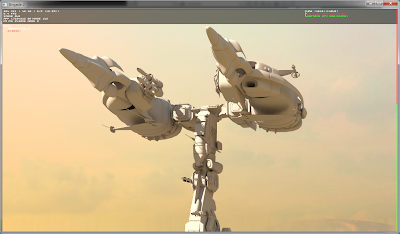 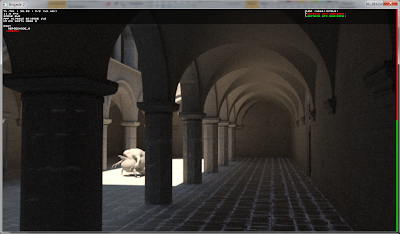 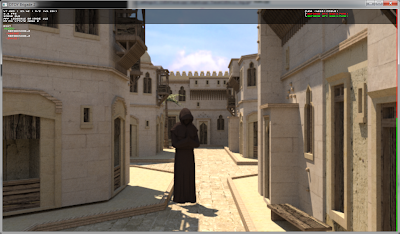 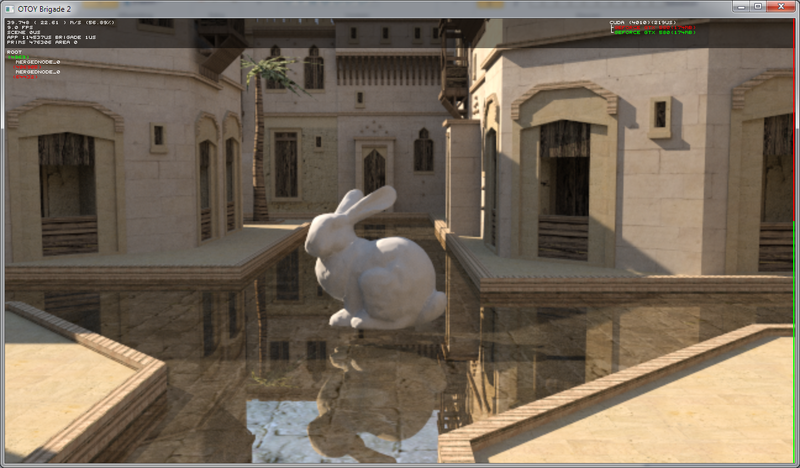 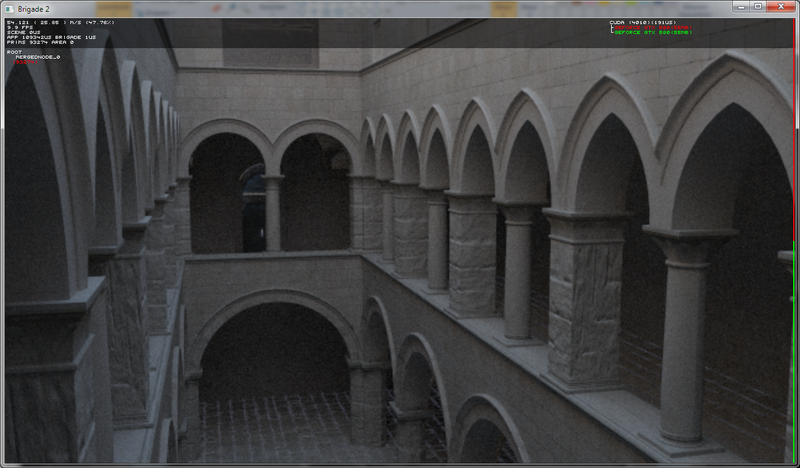 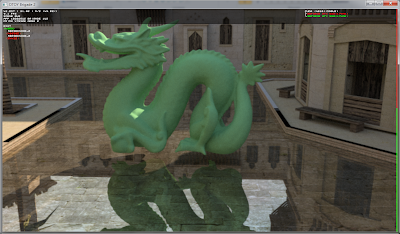 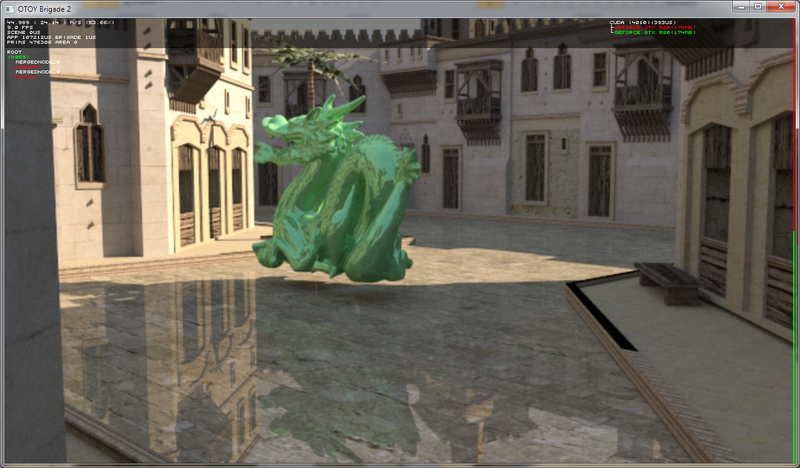 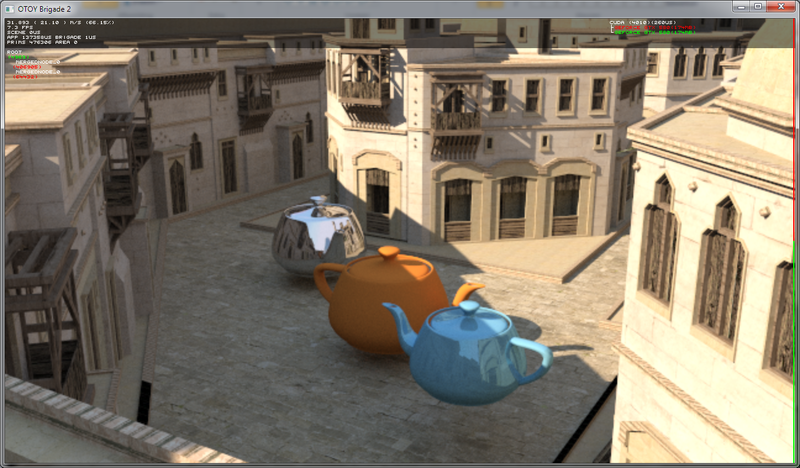 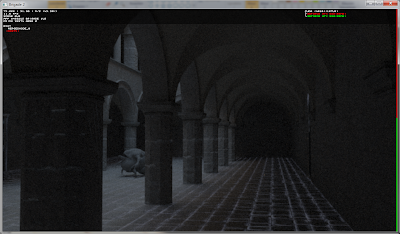 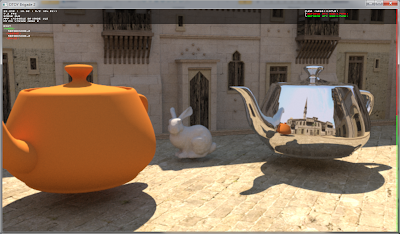 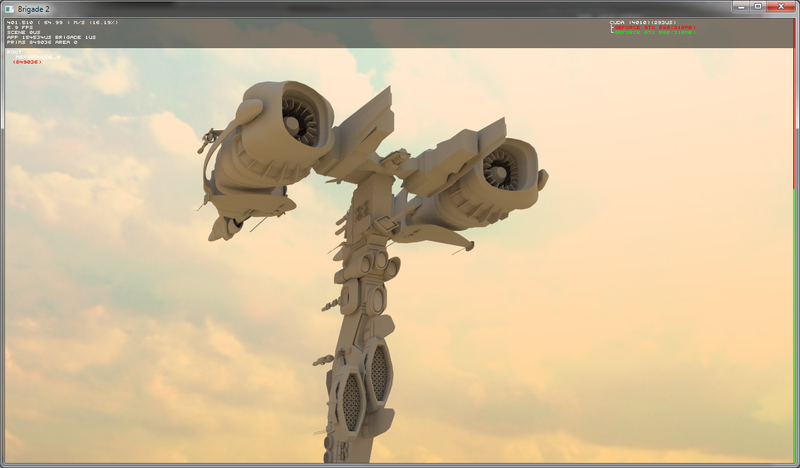 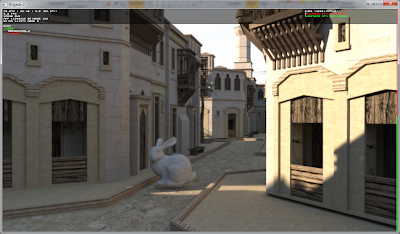 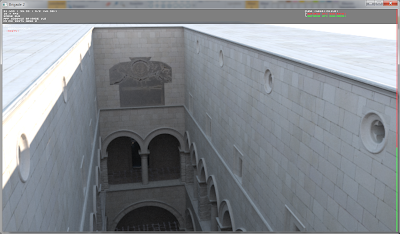 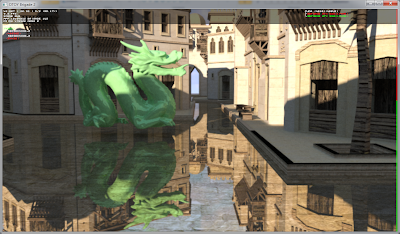 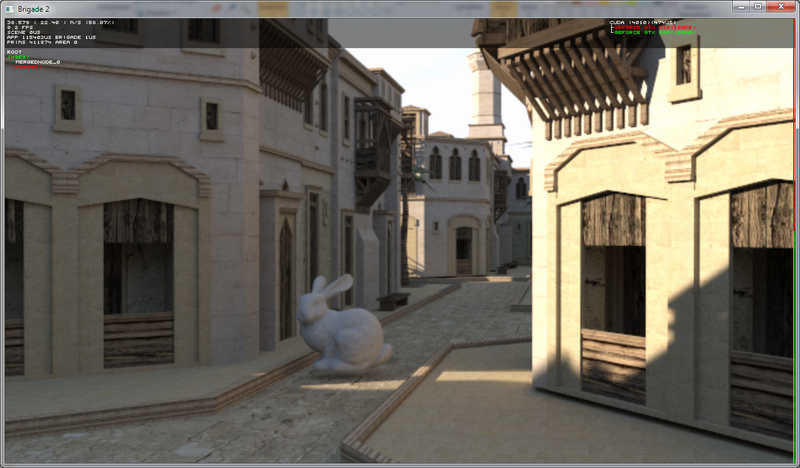 This scene is the gold standard to test how well a newly developed GI algorithm handles indirect lighting scenarios. 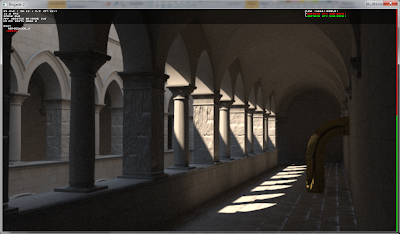 With Brigade it is possible to render this scene at photorealistic quality in real-time on just two GTX580 GPUs (one Kepler GPU should easily surpass surpass this). 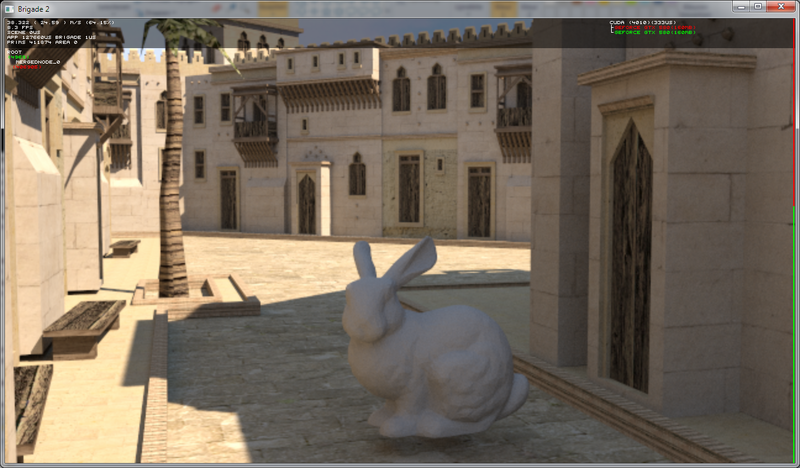 I've decided to work on a real game-like outdoor city scene, something like the open world city in Assassin's Creed, but with photoreal quality real-time path traced global illumination. 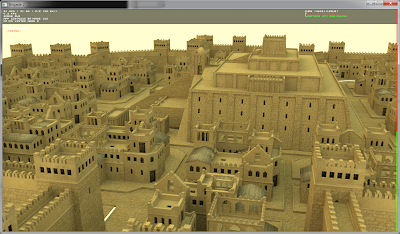 I'm currently working on an ancient city scene (400k triangles, model from SketchUp). Expect a video with this model soon, showing dynamic sunlight and real-time updated GI (it renders effortlessly at 10-20 fps).